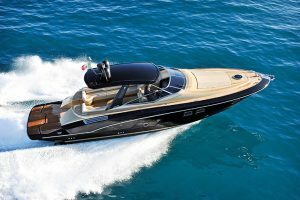 An analysis of what has happened over the last ten years, and how the Italian yachting industry has fared, provides us with plenty to reflect upon and constitutes an example mirrored in all yacht-manufacturing countries. Let’s start from here. Apart from Italy, which countries play an internationally significant role in building production boats? A number of yards in the United States can boast a long tradition in this field, but the majority of them primarily serve the domestic market, which incidentally is the biggest in the world. The names that come to mind include Hatteras, Bertam, Chris Craft and Hinckley, which also arouse interest on this side of the ocean. 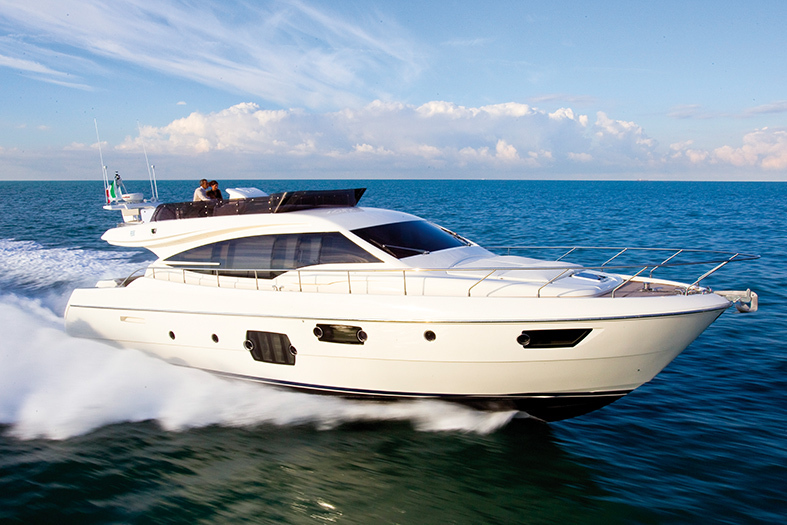 In Great Britain, Sunseeker, Princess and Fairline have paved the way over the years, managing to ride the wave despite ups and downs and changes of ownership, even during times of crisis. 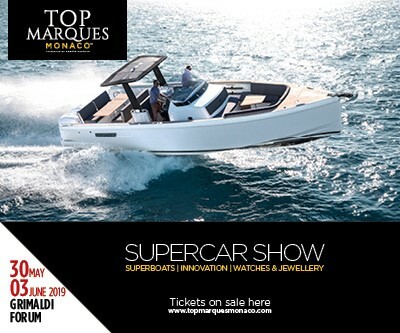 In France, the giant Jeanneau-Bénéteau has kept its head above water and set up an Italian branch – Monte Carlo Yachts – during the storm, guided firmly to success by Carla Demaria. Magellano 74 by Ken Freivokh Design. 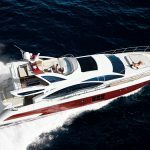 Spain has seen its manufacturers fall to their knees during the crisis and only the sound financial position of the family permitted Astondoa to weather the storm. Meanwhile, Rodman, a brand that seemed launched towards international horizons, instead stopped due to the crisis and has only recently returned to the market with new models. Turkey has remained cautious and a number of manufacturers have changed tack in order to tackle the crisis. 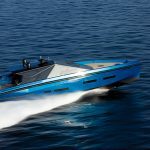 They have introduced radical innovations into their production, rightfully earning a place for themselves in the European yachting market. 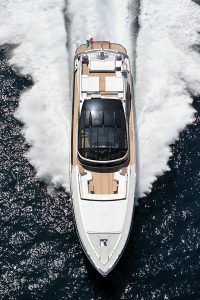 In the meantime, a new brand, Sirena Yachts, has entered the market, putting forward captivating and sophisticated models. The Netherlands is another matter. 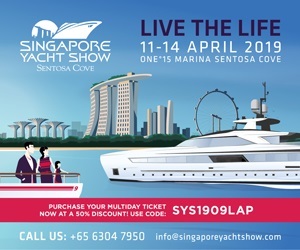 The Dutch have stuck to tradition in the production yacht segment, boosted by a sound northern European market comprised of real sea lovers. Although the crisis has affected them, almost all of them have bravely resisted. 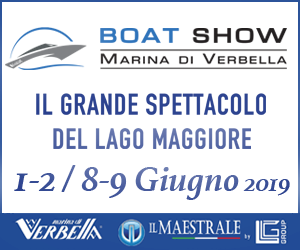 Now we come to Italy, which has been the real protagonist in the development of production yacht design over the last ten years. Production boats require very careful planning and a farsighted vision of the market. 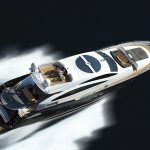 An element that distinguishes them from the world of custom yachts and has a powerful influence on the development of design is the diversity of the reference markets. The custom segment allows you to be daring and in fact clients often demand it. 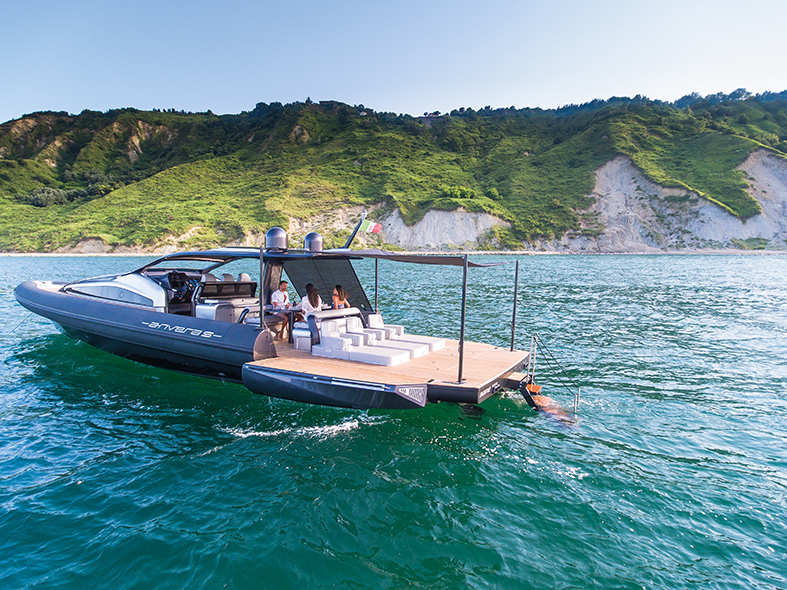 However, in production boats the manufacturer has to pay attention to market signals, developing products able to find favour with a vast range of buyers. The crisis provided an opportunity to stop and reflect, to study solutions that would grab back the attention of a fearful clientele. Sarnico Spider 46 GTS by Nuvolari e Lenard and Victory Design. 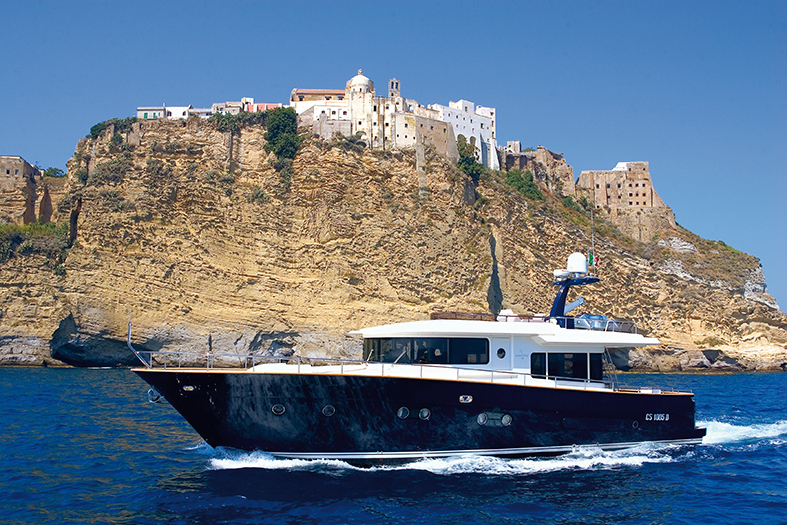 For example, in 2007‒2008, lobster boats were on the decline, but there was still an interest in quiet boats suitable for long trips, studied by many brands. At the opposite extreme, the era of ‘missiles’ with ultra-powerful engines had also come to an end, because they were too wasteful. This resulted in fine-tuning work, producing streamlined and aggressive models, albeit without going over the top. The green influence has played a bigger and bigger part in production boats too, year after year. 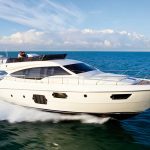 What is more, even entry-level vessels in ranges such as Ferretti and Azimut have become bigger over the course of the decade. New materials, such as carbon fibre, have become established. Glass, available in different formats and shapes, has made it possible to create large windows that make the interiors of large and small yachts lighter and pleasanter, even below deck. 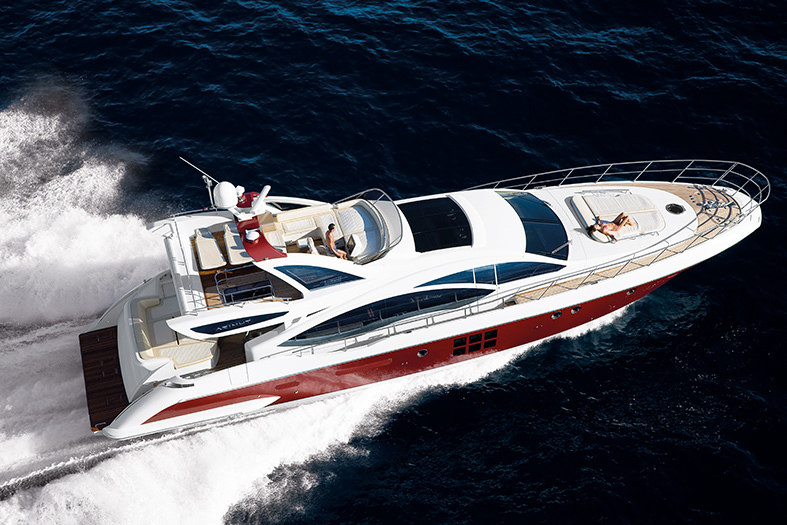 In 2008, this concept was expressed to the full in the Ferretti 830and 881. In the latter model, the master cabin has a bed that looks outside thanks to a triple window with openable portholes. 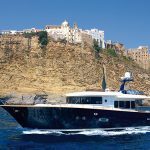 In 2008, Atlantis presented the 50 with an “infinite” windscreen, while in 2010, the Absolute 70 featured a thousand openings in the walls, ceiling and hull, to really emphasize the contact with the outdoors. The doors that separate the cockpit from the interior lounge became bigger and bigger, with systems being developed that enabled them to ‘disappear’. 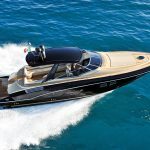 In some cases, the glass was drawn up by an electric motor to lie flat against the ceiling of the flybridge, a system used in some Ferretti and Riva yachts, such as the Riva 86 Domino. Or they are raised and lowered electrically, as in the case of the Pershing 70. 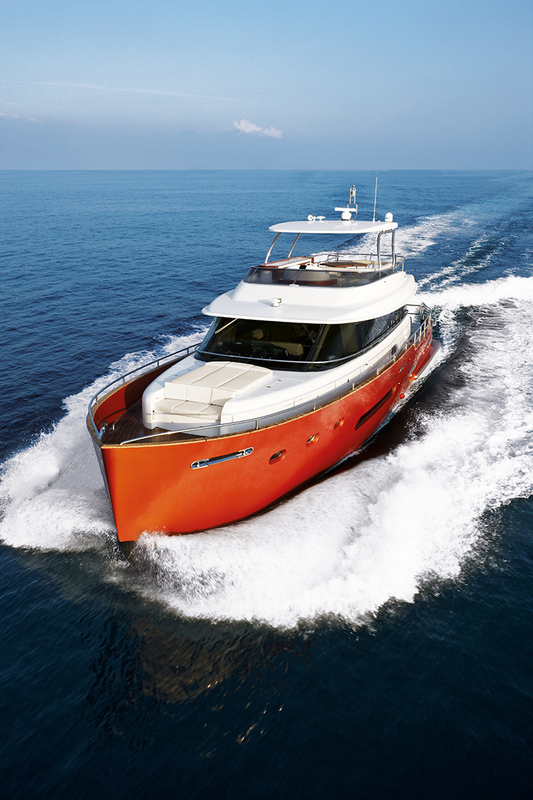 The design of the bows, the inclusion of a flybridge above not overly large superstructures required detailed and sophisticated design work. 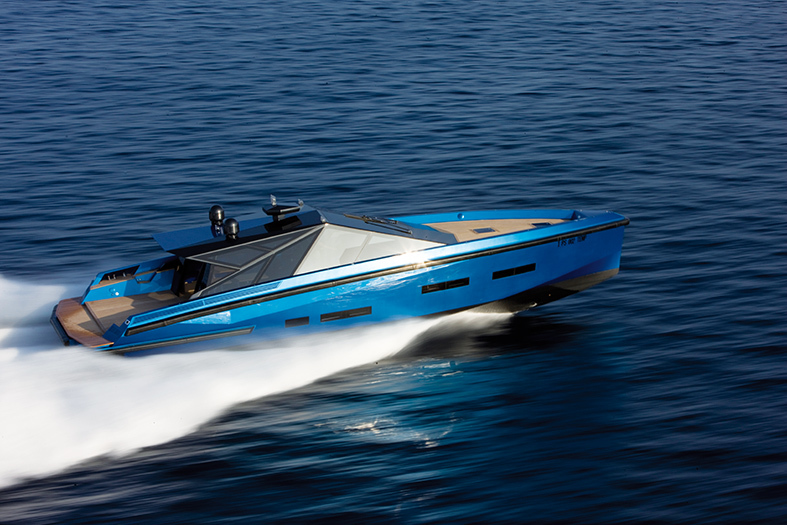 One of the first examples was theAzimut 103S, designed by Righini and Galeazzi. 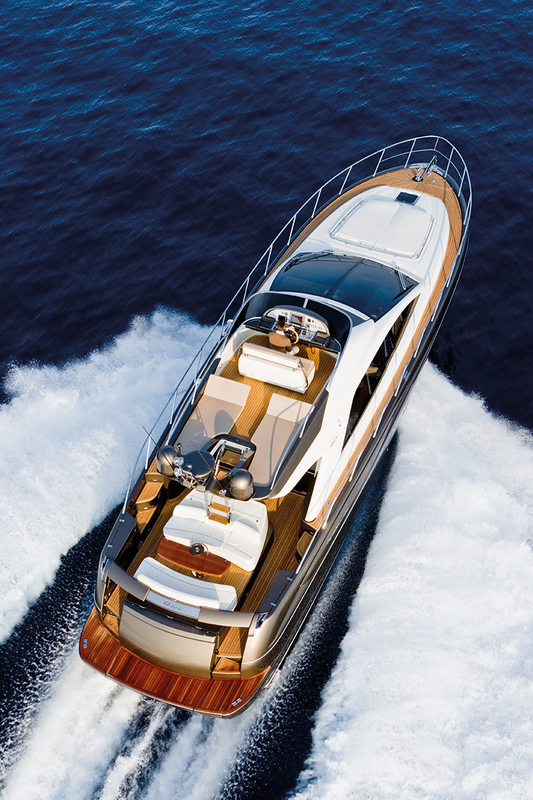 Relaxation areas in the bow gradually became a real must, as illustrated by Monte Carlo Yachts with its first model MCY 76, presented in 2010, which paved the way in this and many other aspects of the layout thanks to the skilful work of Nuvolari Lenard. Extensive design work has also gone into the opposite end of the hull, where aft swim platforms have become increasingly functional, thanks to mechanisms for descending to the water level, incorporated ladders and systems that facilitate tender manoeuvres. New electronic navigation and on-board system control instruments feature on increasingly compact and ergonomic dash-boards. In some cases, new technical solutions and compact engines have a positive effect on the internal layouts. We should certainly mention the Volvo IPS engines that, all other things being equal, as well as offering enviable performances and manoeuvrability, make it possible to enjoy some extra space in the hull thanks to their small size, making the interior more liveable. Other devices that improve comfort and offer benefits in terms of usable space and volumes are the gyro stabilizers that, thanks to their stabilising action and bottom-heavy design, have made it possible to construct larger superstructures. Wider 42 by Fulvio De Simoni. 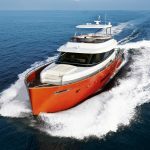 As regards the stylistic and functional evolution in the yacht design, the so-called ‘transformers’, that is to say yachts with a hull transformation and extension system, are a perfect example. 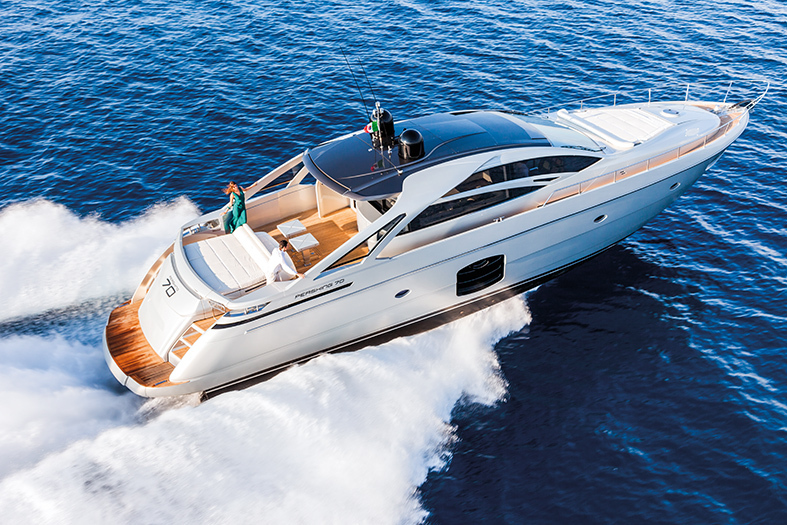 Tilli Antonelli, having left Pershing, created a model in 2011 that broke the traditional rules of the day-cruiser in many ways. 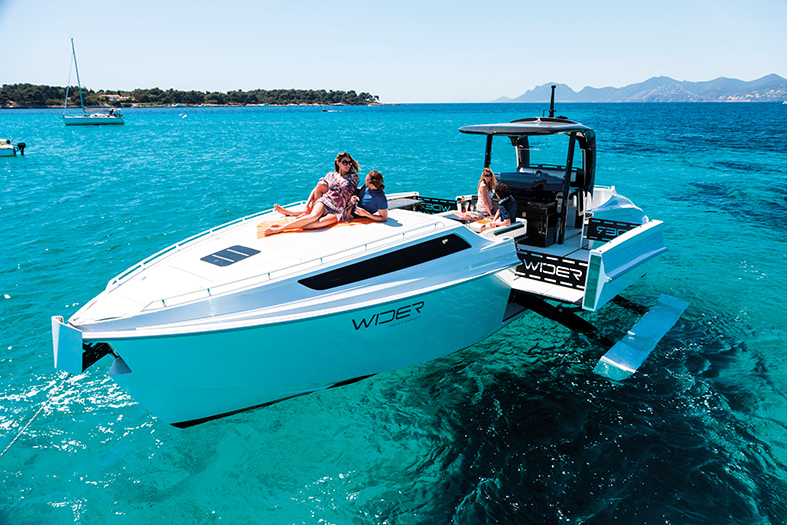 The fast, spacious Wider 42 expands its usable surface area when at anchor thanks to side terraces supported by runners, but can also be enjoyed on the move. And it’s not the only one. 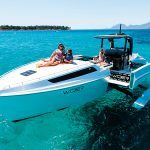 Other brands have adopted similar solutions, such as theEvo 43 and the Anvera 55, a maxi rib in which the aft section of the tubes turn over to create a terrace measuring around 20 square metres. The interiors have also become much more sophisticated over the last decade. The involvement of young designers has brought a breath of fresh air and lots of interesting ideas. The design of furnishings and details hasbecome more and more important, so much so that the interiors and exteriors have been the subject of extremely detailed design work. 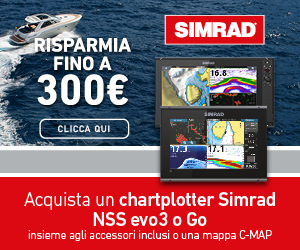 At the same time, the quest for refined and practical interior materials has become necessary in order to meet the requirements of owners who have become more and more demanding, even in the case of smaller yachts. SportRiva 56’ by Officina Italiana Design. 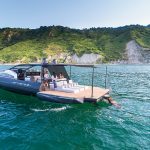 An iconic yard such as Riva has introduced constant stylistic developments, managing to bring in major innovations without overturning the very essence of the brand. Mauro Micheli and Sergio Beretta/Officina Italian Design are the men behind this. 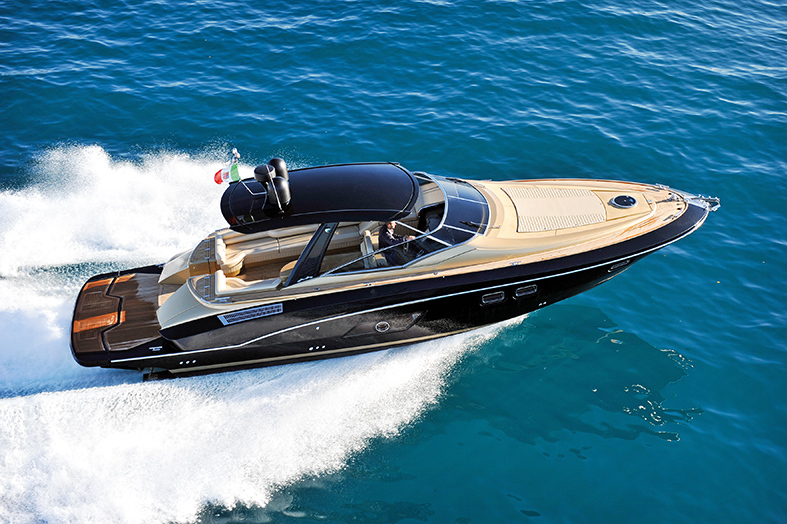 The models have grown in size, in some cases, but Riva’s stylistic features have been preserved in full. 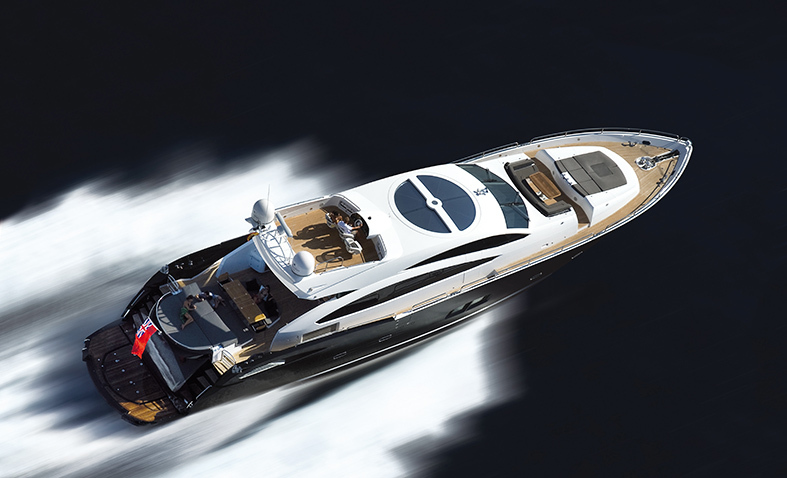 With the Sportriva 56 in 2008, Micheli and Beretta offered an interpretation of sporty glamour that would be developed in more and more sophisticated models over the coming years. The Domino 86 of 2010 paved the way for large and more habitable models, while the Domino 88 Florida and Super incorporate all the stylistic elements that act as atrait d’unionbetween highly sophisticated ‘motor boats’ such as theIseo, Aquariva and Rivamare, coupés, and flybridge yachts such as the Corsaro 100. 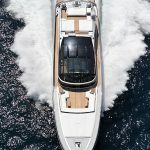 In short, with a market that has gone back to being stable and with an increasingly attentive and demanding clientele, yacht design – even in the production yacht segment – has evolved, creating products that are more and more captivating in shape and increasingly sophisticated in substance.